March is Women's History Month, and 8 March is International Women's Day. In honour of both occasions, we will be publishing blogs by our members throughout the month, describing how their work supports women and girls. 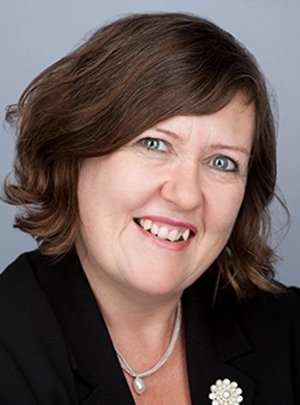 This week, Technical & Specialist Team Leader Michelle Wyer tells us about founding the HMRC’s Senior Women’s Network and Enforcement and Compliance Women’s Network and helping others help women. Hi, my name is Michelle Wyer and I am an FDA member. I work in HMRC and so I am technically a member of ARC (the Association of Revenue & Customs), which is part of the FDA. In my day job I am a manager of a team of around 40 people based in Ipswich and Stratford, who investigate the tax affairs of Small to Medium Enterprises, mainly companies with a turnover of less than £10m. In HMRC, as a female Tax Inspector, I was quite unusual when I joined in 1990. In my second job I found myself in a team made up of seven men and me – quite intimidating. At that time my boss was a woman, virtually unheard of. I was keen to build up my network when I moved to London in 2000, and so got involved in the FDA/ARC. I became London Centre President and then ARC President in 2006, and later was Vice President of the FDA. I don’t think I’d appreciated how significant that was. I was only the second ever female ARC President and the first Grade 7. Like it or not, I’d suddenly become a role model for others. With the help of senior leaders, notably the sadly now deceased Bernadette Kenny, my colleague Leanne Almond and I set up HMRC’s Senior Women’s Network. We soon built up to over 700 members, offered mentoring, free training and regional events like supportive colleague ‘cafes’. We won Opportunity Now’s Advancing Women in the Workplace Award, but most importantly we drew attention to the issue that women were underrepresented at senior grades. At that time only 27% of SCS in HMRC were women. Now, it’s around 45%. We also worked with the FDA to start up the Women into Leadership events which are still going and hugely popular. I devised and delivered a range of courses to develop awareness and understanding of topics from emotional intelligence through to networking and presentation skills. All were free and all really well received. Following on from that, I initiated the Enforcement and Compliance Women’s Network, for colleagues working in E&C like myself. Again, we offered similar opportunities to network and develop. I also helped colleagues to set up the award winning women’s BAME network in HMRC – they took what we’d done and flew even higher. I got involved in the public and private sector networking group Tabelle, led by Siobhan Bonita. That lead to working with Civil Service Live on the Women in the Civil Service exhibition and a host of fantastic, and some quite bizarre, recollections from women who had worked in the civil service. Now in my team I look to develop and encourage the women, and men, that I work with to be the best that they can be. On a smaller scale I do mentoring myself. Currently all of my mentees are a diverse range of women and I take great pleasure in both helping them to develop themselves and learning from them. I’ve always celebrated International Women’s Day. Originally I got involved in national and cross-government events, but latterly I’ve really enjoyed getting involved in local events here where I work in Stratford. And the best thing about that is last year others took the lead. That’s the thing about leading in diversity: you need to have a succession plan otherwise the whole thing falls over when you leave. Getting that in place is the tricky bit! Interested in getting involved in the FDA's own Women's Network? Get in touch with Victoria Taylor via victoria@fda.org.uk.